One of the biggest sportsbooks on the market. Unrivaled range of sports and markets. Lots of Live-Betting offer & live streams. Easy to use platform and mobile app. 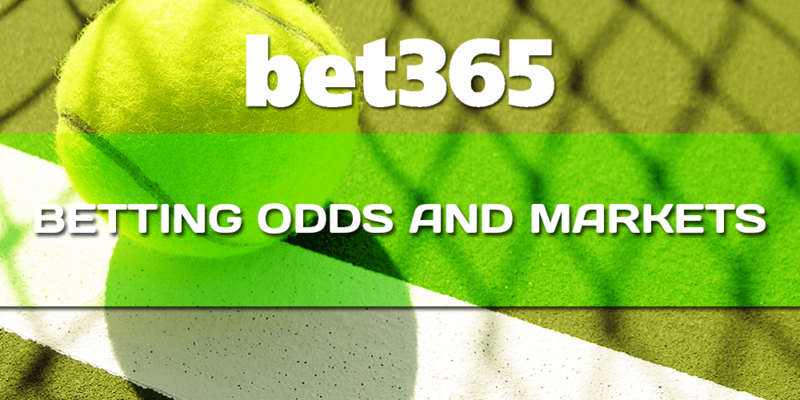 Bet365 is one of the biggest sportsbooks with a huge selection of betting markets. Their wide variety of sports betting options attracts all types of punters and makes them one of the most popular sportsbooks in the world. Bet365 is a great choice if you enjoy betting on sports like football, basketball, tennis, and more. While betting you can also enjoy their various live streams which are available for all types of competitions. By providing jobs to thousands of people the group has become the biggest private employer in Stoke-on-Trent. The company is fairly new, being founded in 2000 by Dennis Coates. It has quickly become one of the biggest online gambling sites in the world. The Bet365 website is available in many different languages and can be accessed from multiple countries. They are offering many other services besides being an online sportsbook. Currently there are the following products: poker, casino, virtual games, and bingo. Moreover they are providing an on-course bookmaking service for horseracing. Bet365’s chairman, Peter Coates, has the same position at the football club of Stoke City and Bet365 became the club’s sponsor in 2012. The following Bet365 Review will show you all the important information you need to know to start your betting experience. Find out about the betting markets, which payment methods are available, and much more. Sign-up with bet365 today and receive up to £100 in Bet Credits. Note this offer is only available for new customers. Deposit £5 or more to your account and Bet365 will match your qualifying deposit in bet credits when you place qualifying bets to the same value and they are settled. Min odds/bet and payment method exclusions apply. Returns exclude bet credits stake. T&Cs, time limits, and exclusions apply. • Deposits made using NETeller, Skrill, or Skrill 1-Tap will not count as your qualifying deposit. • Bets placed must meet certain conditions to count towards the release of your Bet Credits. • Bets must contain at least one selection at odds of 1/5 (1.20) or greater. Opening an account with Bet365 is fast and easy. The following step-by-step guide will show you how to set up your account within a few minutes. Open an account with Bet365 today and claim up to £100 in Bet Credits. Make sure to use our signup link to start the registration process. 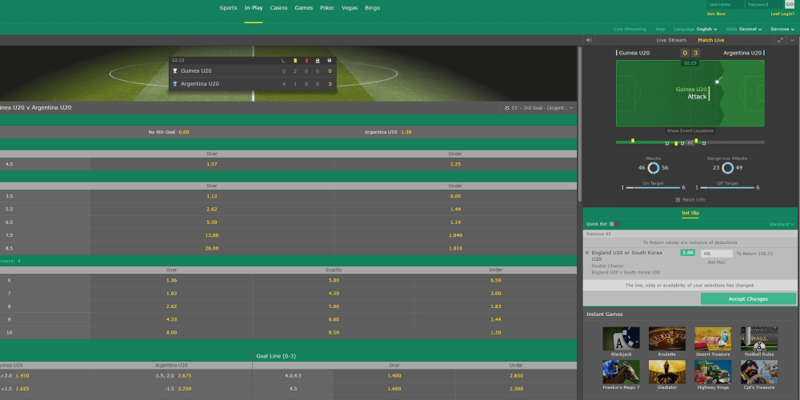 You will be redirected to the Bet365 homepage and where you just need to click the ‘Join Now’ button in the top right corner of the screen. Enter your personal details like your country of residence, first and last name, date of birth, postal code, etc. Once your account is created you now need to make your first deposit. Simply choose your preferred payment method, your currency, and follow the instructions on the screen to finish the deposit process. They offer the widest range of sports and markets imaginable. There is almost no event in the world where Bet365 does not offer a bet, which makes it a great place for any sports bettor. Even political events, especially UK politics, are well covered. Bet on who will become the next Mayor of London or on the next permanent party leaders. Besides domestic politics, you can also place bet on the USA presidential election , as well as election outcomes in several other countries. 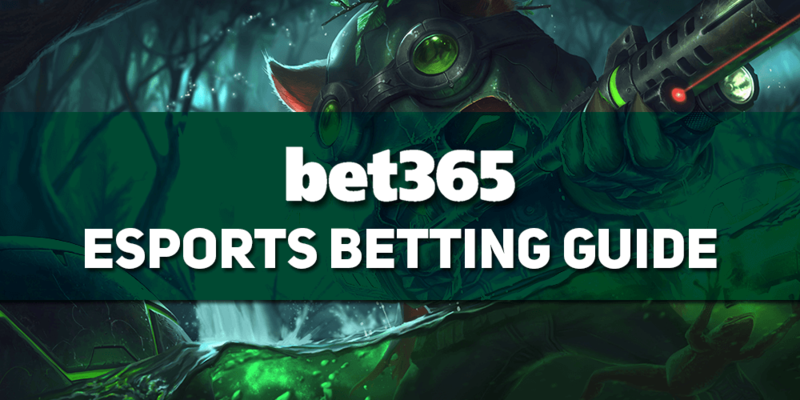 ESports fans especially should take a closer look at our eSports Review Page and our Odds Page, where we have focused more on the benefits for our eSports betters. When it comes to betting odds every better needs to check the available offers and compare the odds. Bet365 is a great and profitable place for any bettor. Most of the time they are offering the best odds to many events, which makes it a highly profitable sportsbook to place your bets. However, if you want to become a successful better, you need to be flexible and compare odds from different sportsbooks. Therefore, we have created our fantastic Odds Comparison Page. You just need to check for your preferred sports event and we show you which sportsbooks currently offer the best odds for you. When it comes to live betting, Bet365 is a strong leader again. They cover almost all markets, offer fantastic odds, and they also have some of the highest betting limits. 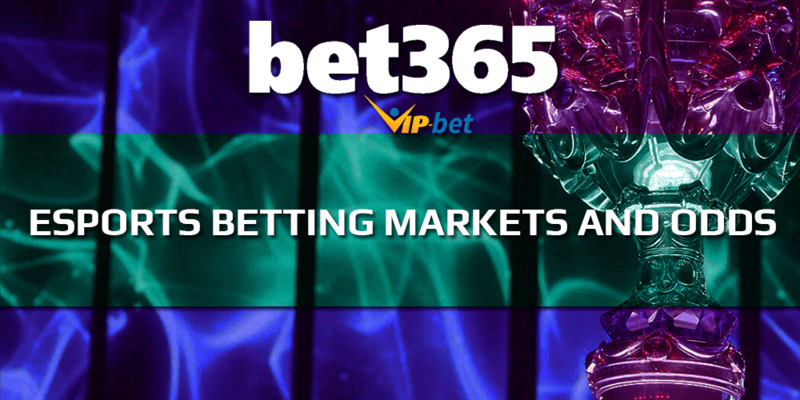 No matter if you are a recreational sports betting fan or a professional, Bet365 is like heaven for every punter. Combined with their great live streaming offer you can enjoy your preferred team live on the screen and wait to place some profitable live bets. The biggest market is definitely soccer and there is not one league they do not offer. Starting with the biggest international leagues, they also offer the smaller and more local leagues as well. To add to the In-Play excitement, Bet365 streams over 140,000 events live to your PC every year – so you can bet as the action unfolds. Highlights include Masters Series Tennis tournaments and matches from some of the top domestic soccer leagues in the world. To use the Live Streaming service you will need to be logged in and have a funded account or have placed a bet in the last 24 hours. Any fixture/event on our website which has the Play or Video icon next to it is scheduled to be shown via Live Streaming. A lot of great promotions are running every month and every better can find something for himself to get a chance to increase his winnings. Make sure to regularly check for new promotions to not miss any additional value. Bet365’s fantastic Euro Soccer accumulator offer includes the top domestic leagues in Europe along with the group and knockout stages of the Champions League. You can earn a bonus of up to 100% if you place accumulators on the Premier League, Serie A, Primera Liga, Bundesliga 1, or Champions League. Place a pre-match accumulator with Bet365 of 3 or more selections on the Full Time Result or Result/Both Teams To Score markets combining teams in any of these competitions and, if successful, the relevant bonus will be added to your returns. Bets placed with Bet Credits, Double Chance bets, or combination bets with bonuses such as Lucky 15’s or Lucky 31’s do not apply for this offer. Place a pre-match bet on ANY of Bet365’s Correct Score, Half-Time/Full-Time, or Scorecast markets for ANY soccer match, and if the game finishes 0-0, your stake will be refunded if your bet loses. Bet365 offers a Best Odds Guaranteed on every horse and greyhound race – every day! When you place your bet with Bet365, take the price on your selection – and if the SP is bigger they will pay you out at the bigger odds! Ante-Post, Tote/Pari-Mutuel (bets and dividends), ‘Not to Win’, Enhanced Win, Cover Bets, and In-Play bets are excluded. Earn more on your American and Canadian sports pre-game parlays with Bet365, including regular and post-season football, basketball, ice hockey, and baseball games. You can earn a bonus of up to 50% if you place successful parlays of 2 or more selections, combining teams in the NFL, NCAAF, CFL, NBA, NCAAB, MLB, or NHL on the following 2-Way markets: Spread, Run Line, Puck Line, Game Totals, 1st and 2nd Half Point Spread, 1st and 2nd Half Totals, and Money Line markets. Bets placed with Bet Credits, Parlay Cards, Teasers, or combination bets with bonuses such as Lucky 15’s or Lucky 31’s do not apply for this offer. Bet365’s Euro Basketball offer gives you the chance to earn a bonus of up to 50% on your Men’s European basketball accumulators. This applies to Europe’s premier club competitions, the Euroleague and the Eurocup, in addition to Spain’s Liga ACB, Italy’s Lega 1, and the German Bundesliga. Place a pre-match accumulator with Bet365 of 2 or more selections combining teams in any of the above competitions and, if successful, the relevant bonus will be added to your winnings. Bet365’s fantastic tennis accumulator offer includes matches from all the top tournaments and events. You can earn a bonus of up to 50% of your winnings if you place accumulators on To Win Match, First Set Winner, and Set Betting markets for Singles and Doubles matches from any Grand Slam, ATP, WTA, or Challenger Tour event, as well as Singles and Doubles matches from the Davis Cup, Fed Cup, and Hopman Cup. Place a pre-match accumulator with Bet365 of 2 or more selections combining matches from any of these competitions and, if successful, the relevant bonus will be added to your winnings. This review of Bet365 is completely based on our own experience. That means it solely reflecting our own opinions and not actual facts. Only customers who are 18 or older may sign-up with Bet365. For help, support and advice about problem gambling please visit gambleaware.co.uk. All Bet365 terms and conditions apply to the promotions displayed above. The Bet365 mobile app is available for Apple and Android devices and it is an excellent choice for punters. As one of the most reputable sportsbooks, they have done a good job implementing almost all the markets covered on its desktop site into its mobile sportsbook. You can use a mobile app for all your Android and iOS devices. The iOS app can be downloaded from the Apple Play Store. However, it is a bit more complicated with the Android app. The reason for that is Google’s strict policy against gambling and therefore they removed the apps from their store. However, most bigger sites are fully aware of this problem and provide a link to download the app on their sites. Unfortunately, Bet365 does not yet. Downloading and install the iOS app to your mobile device is easy. Just click on the following logo and download the Bet365 app to your mobile device. You will also find several sources where you can download the Android app, but we highly recommend to not use apps from an unknown source and use the Bet365 Mobile Website instead. It is accessible for all devices with a web browser and you will have the same markets and features as the mobile app. Live Streaming: Enjoy great live streams for many live events, including football, tennis and many other sports. Sports & Leagues: 27 kinds of sports, including the big European football leagues and innovative betting on financials.